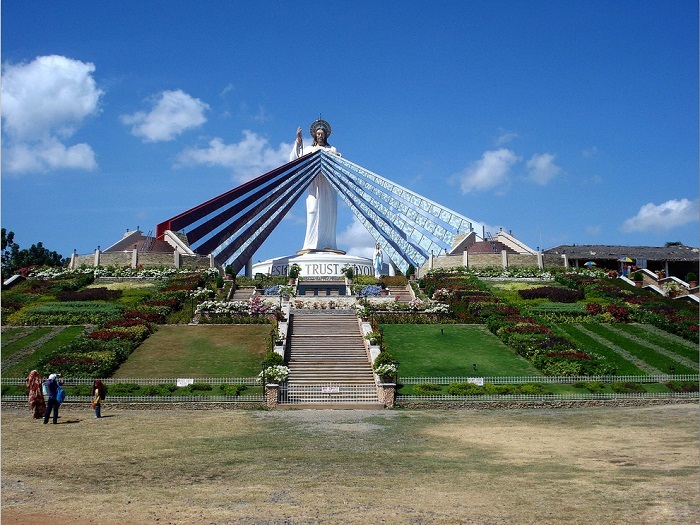 The Divine Mercy Shrine is a tall and quite impressive Catholic monument that can be found in the City of El Salvador, in the Misamis Oriental Province, within the Republic of the Philippines. 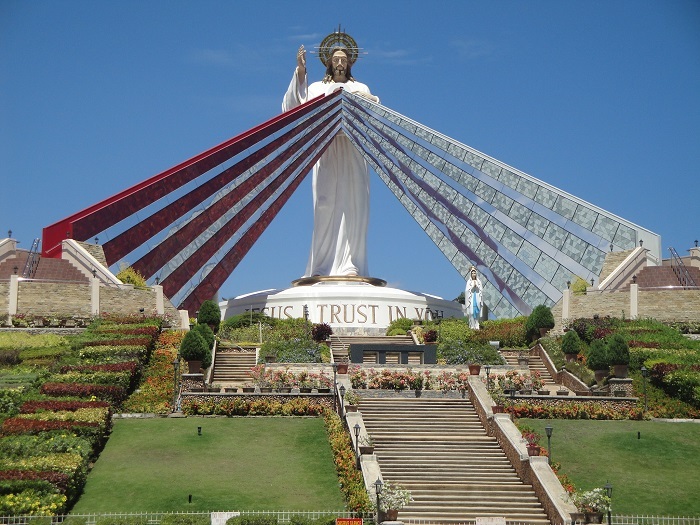 Being mistaken constantly with the El Salvador nation in Central America, the El Salvador City in the northern part of the Mindanao Island has gained a great popularity with the Divine Mercy Jesus statue that has 15 meters (50 feet) in height and overlooks the large 9 hectares (22 acres) of land. 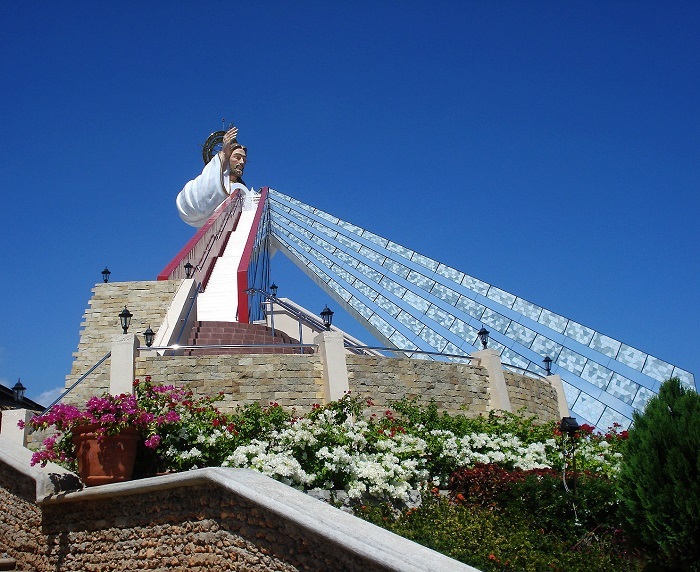 The statue itself is depicting Jesus Christ giving a blessing to the visitors coming here, with two “beams” of hope and faith coming out from his heart. 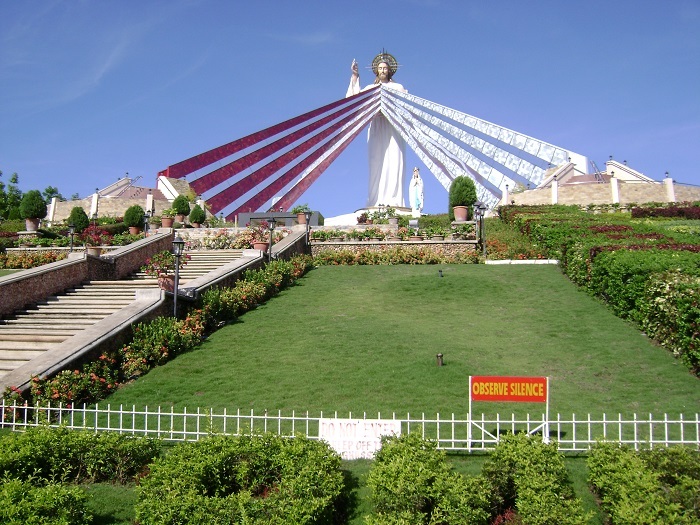 Those are also constructed with stairs so that people would be able to come as close as possible to the most sacred heart of Christ. 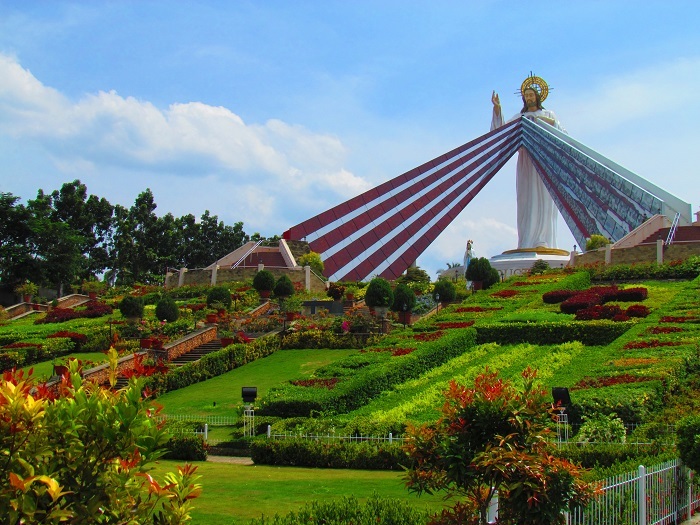 Considered as a top destination for pilgrims from the Philippines, the Divine Mercy Shrine is a solemn place where worshipers can pray and meditate while being surrounded by flower gardens that emit a peaceful and pastoral energy. 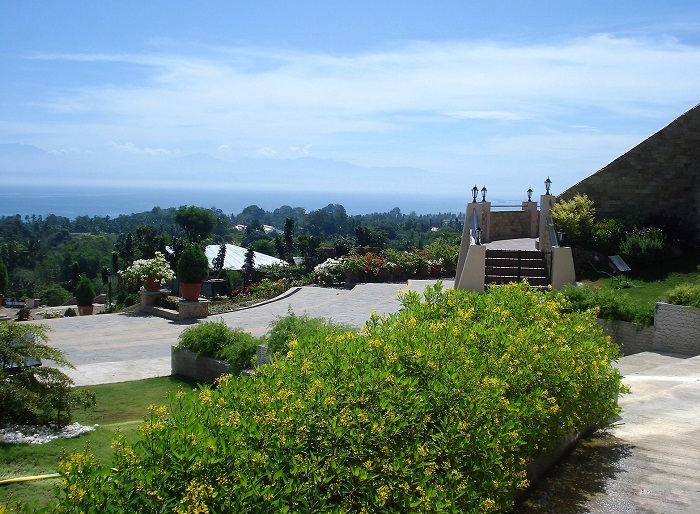 The property was purchased by donations, where the Archdiocese of Cagayan de Oro took over the project and started constructing the shrine itself which was completed by 2008. 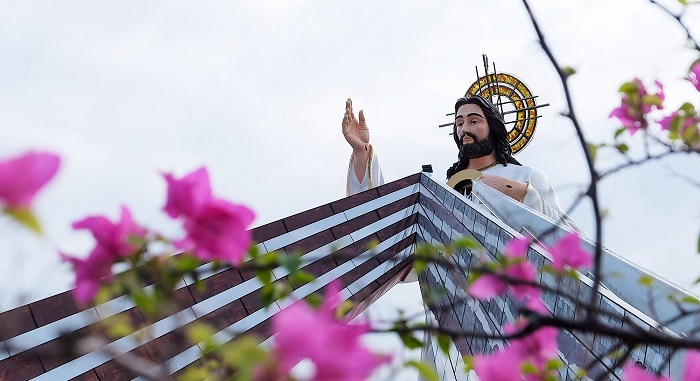 Aside the impressive statue, there is the Divine Mercy Church which offers a wide range of services, and year round it is the location for venues like holy masses and daily confessions. 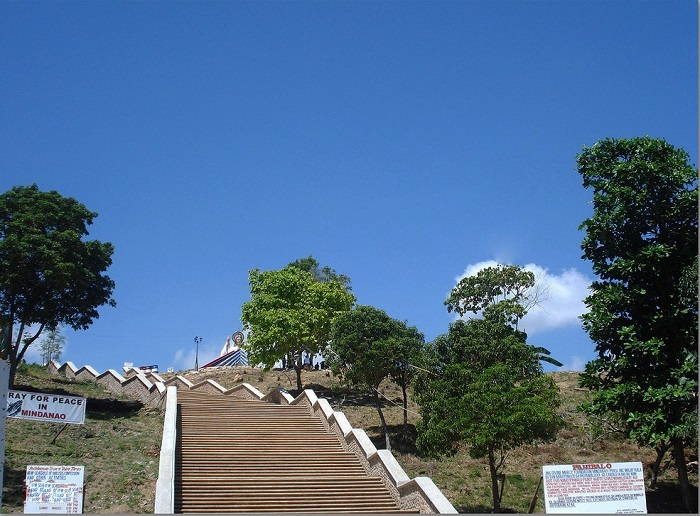 Due to the religious rules which are imposed by the shrine administrators, every visitor must wear a suitable attire, not revealing the body, whereas the administrators are providing blue cloths in order for everyone to be able to come as closer as possible to the enigmatically enchanting statue. 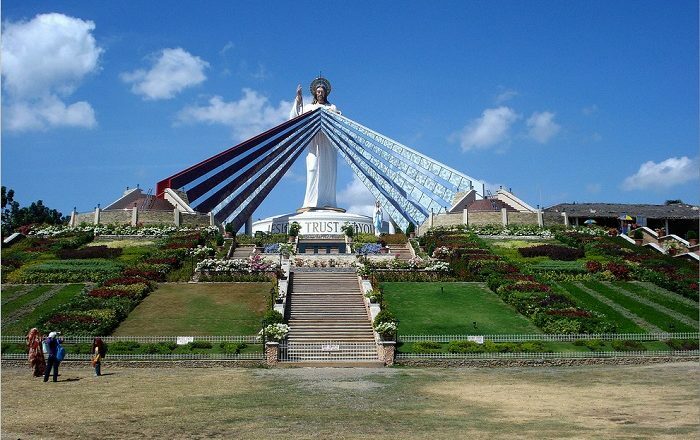 In conclusion, with the possibility to gain even greater popularity around the world, the Divine Mercy Shrine is set to be one of the greatest spiritual places that can be seen in the Philippines.